As I usually have gel nails(which I do at home), my nails are really damaged when I take them off. It is like a vicious cycle as I take them off, but my nails look so bad I put them back on and that damages further and so on and so on. The only answer was to remove them and use a nail repair system to get them back to a good condition. I decided to give the Micro cell range a go to see if this would help. I really like the blogphotography! What do you use to capture your photos? My nails are in such bad condition too, I might try something like this! 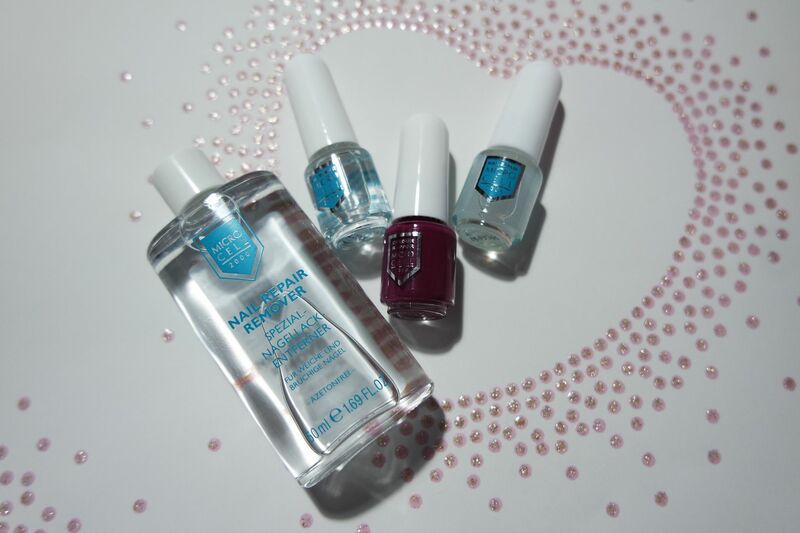 I never do my nails (just not a fan_ but the products seem great for when your nails are in a bad condition or need some TLC! My nails are in pretty bad condition so I could use something like this. ooo this sounds perfect for damaged nails! Sounds like an interesting nail repair kit. Will check it out. I might need to invest in this. I had acrylics out on for my holiday and since taking them off my nails are a mess!! Thanks for a brill blog post! Also, I love the photography in this post. The heart background is adorable!! Sounds like a fab little set!